We have a sophisticated manufacturing facility. The manufacturing plant of our company is based on a plot area of 4000 Sq.mt with a huge building area of 2500 S.q. mt. Equipped with latest machinery as per G.M.P requirements, our production unit has all requisite facility to undertake large scale production. 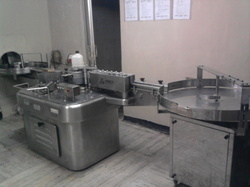 Our manufacturing facility are revised as per M and GMP norms of the Food and Drugs Control Department. Moreover, the B-Lactum plant of our company is WHO GMP certified. Owing to such kind of sophisticated manufacturing facility, we are able to deliver quality range of Veterinary and Allopathic Products. We have a sophisticated research and development wing backed by a team of R&D experts consisting of chemists, doctors and scientists. These experts conduct different types of researches to develop new and more effective range of medicines. The knowledge, expertise and techniques of the experts to innovate in this field has resulted in the better quality of our medicines. Moreover, our experts also finds new application area for our our range of ayurvedic and allopathic medicines which helps us to identify new clients. 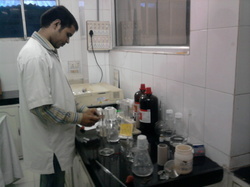 Different types of tests are conducted in our R&D unit, before these medicines are publicized. 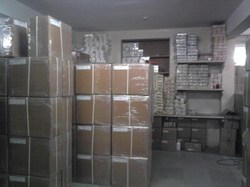 We have a capacious warehouse that enables us to store our ayurvedic and allopathic medicines in bulk quantity. Our storage facility is divided into various sections that enable us to categorize and retrieve our products in a convenient way. Proper cold storage facility and fire safety equipment are installed in our ware house for the protection of these medicines. We give a special emphasis on the packaging of our medicines. Our products are packed hygienically in quality bottles which ensures the safety of these medicines from heat, moisture and many external factors.